Good morning darlings! We are back and ready to get in gear for the month of July! I'm sorry I didn't have a Friday Favorites post between my work moving offices and my birthday (gifts are welcome! ; ] lol ) I wasn't able to get a post written and I really wanted the extra sleep! 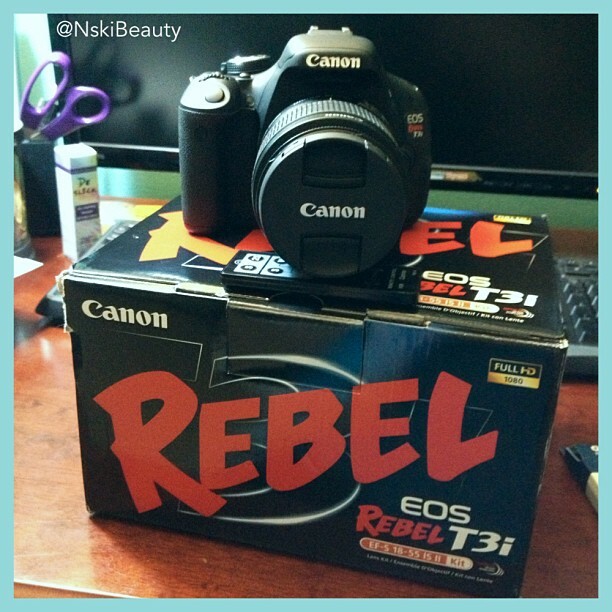 For my birthday Gregory bought me my very wanted & sought after Canon Rebel T3i (Happy Birthday to ME!) so expect to get even better pictures and videos now that we are equipped with a 1080 HD camera! 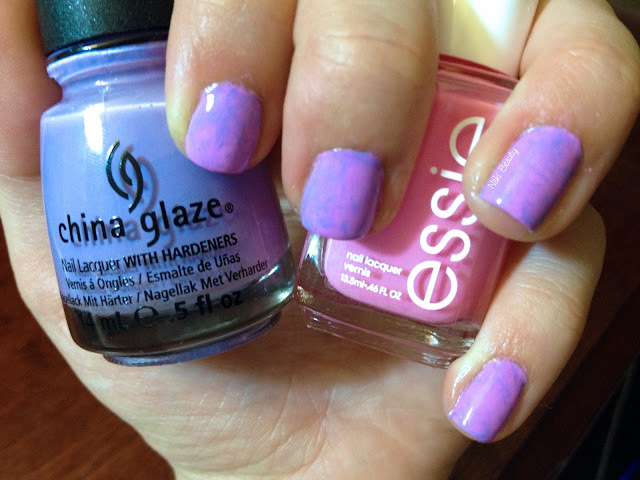 For this week's Mani Monday I knew I'd be spending time on the lake and in the bathing suit so I drew inspiration from my bathing suit! 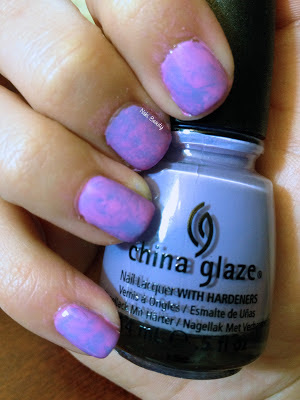 I purchased it from Victoria Secret last year so I'm not sure if its still available but I love the purple and pink acid wash and thought it be the perfect manicure to sport! I started with using two coats of China Glaze's Tart-y for the Party and the applied Essie's Boom Boom Room one nail at a time. 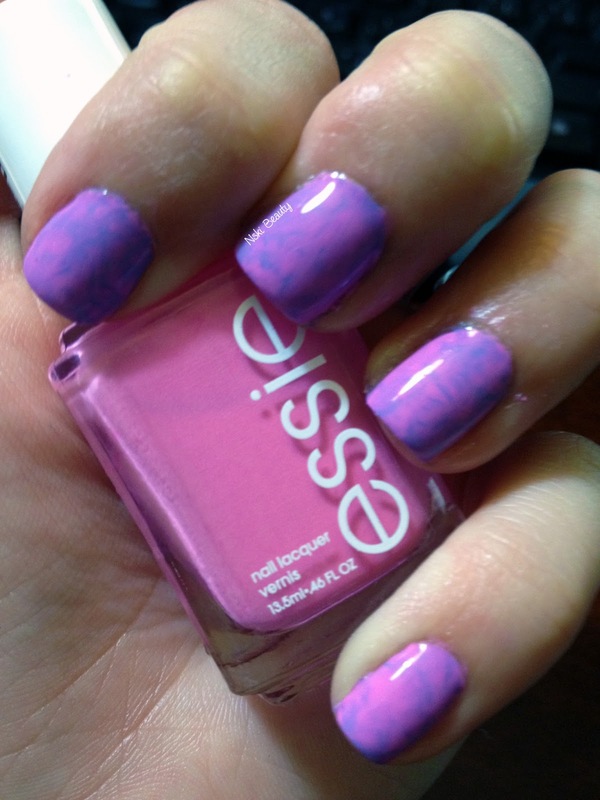 Using a stippling motion till I achieved the look I wanted then finished with Julep's top coat and that was it! One thing I wasn't happy about with this mani was Julep's top coat I feel like it didn't give me as great of protection as my INM's out the door does and with wearing seven coats (yeah I know kind of ridiculous huh? LOL) of polish and to have my polish chipping I'm really disappointed. But never the less I'm super stoked with the finished results and love how easy it is to achieve this look!